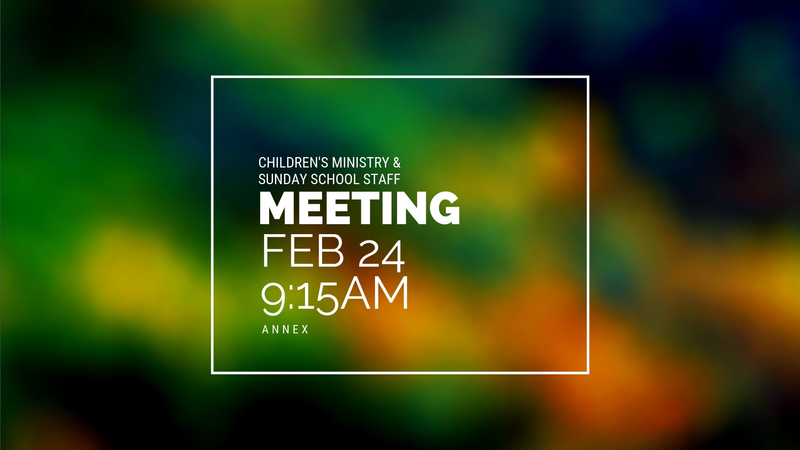 We have a Children’s Ministry and Sunday School staff meeting planned for 9:15am in the annex on February 24th. This is for all current, previous, and future staff. Donuts provided.